Visitor medical insurance and travel medical insurance coverage and protection for visitors to USA. 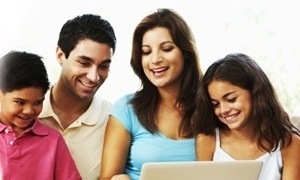 Get the latest tips, policy resources, plans reviews, compare quotes and buy online. Extended family members planning to visit United States of America is a necessity to spend soul time with their children and grandchildren who live and work or study in USA. Many elderly parents who are visiting USA from India, China, Russia, etc. absolutely need the coverage for visitors for a short-term or a potentially longer duration stay. The United States is the leading destination for travelers from around the world as it offers a wide array cultural and sightseeing avenues with a lot of leisure activities. But on the same token, USA cannot be overlooked for the high cost of medical and crisis care expenses. Emergencies by way of sickness or injury can happen to anyone, anytime without advanced warning and also anywhere. To combat such health risks, especially for elderly parents or relatives visiting America, it is prudent to buy visitor insurance for parents and reduce the chances of being stranded without access to the right care in an emergency or with the burden of mounting medical bills later. Many parents visit USA or relatives travel around the globe every year to spend quality time with their family living abroad. They could be visiting on a US visitor visa or could be new immigrants and recent holders of a green card. It is paramount that they prepare for any medical contingencies during their visit. The plans they eligible for are limited as many do not have social security numbers yet, thereby limiting access to any federal or state medical programs that they can take advantage of. Getting visitor medical insurance for USA is an easy way to minimize the risk of unexpected financial expenses associated with travelling to America or any foreign nation. Not only does this protects from the unforeseen medical bills, the policy can offer the peace of mind as it takes care of monetary aspects after any hospital admission or any advanced surgery that visitors to the United States is required to undergo. Purchasing visitor health insurance provides complete peace of mind by transferring the risks to your insurance provider, who provides you with 24/7 customer support and has a dedicated team to take care of any claims that need to be processed. Visitor medical insurance plans may not cover vaccination charges, annual physicals and wellness check-ups, routine dental and prescription eyewear expenses, and other plan exclusions. But these plans offer coverage for a wide array of benefits such as hospital in-patient and out-patient charges, fees for doctor and consultant physician visits, prescription drugs and laboratory costs, emergency medical evacuation, accidental death and dismemberment, repatriation of mortal remains, loss of luggage, trip cancellation and interruption coverage, common carrier accidental benefit, and a whole lot more. Visitor insurance USA is crucial part of any travel planning as it allows you to protect your relatives or parents against any health related adversity. For individuals and families in this situation, a visitor's health plan satisfies the eligibility criteria for USA visitors or green card holders, as there are several insurance plans available, review and purchase a policy online today. Secure and shield your loved ones with visitor medical insurance, and let them have a safe and sound journey.